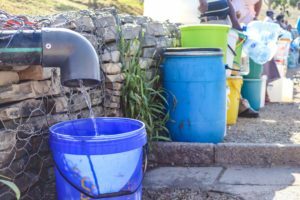 Rhodes University will have to close its doors if urgent solutions aren’t found to Makhanda’s (Grahamstown’s) looming water crisis, with experts predicting it could be 30 days until the local supply is reduced by half, forcing strict rationing. The University was among the city’s core economic entities invited to a water crisis meeting on Monday 14 January. High-level lobbying for national government support, strict enforcement of water restrictions, a water-rationing plan, importing experts who managed Cape Town’s recent water crisis and the day to day logistics of ensuring residents have water are among the tasks for an emergency team established at the meeting. The main supply to the city’s western areas, Settlers Dam, is this week at 13.4% of its capacity according to MBB Consulting Engineers, who summed up a grim scenario in the opening presentation in the city hall’s Council Chamber. Experts have previously said because of high silt levels, it is unlikely the last 10% in the dam can be extracted. The much smaller Howieson’s Poort Dam, from which the western supply is pumped for treatment at Waainek, was Monday at 23.1%, according to MBB Managing Director Peter Ellis. MBB has been contracted by Makana to manage water demand and repair leaks in the municipality. Rhodes University will open for first-year registration on 2 February and lectures start on 11 February. Total expected enrolment is 8500 and of those, 3800 students will be living in campus residences in 2019. Executive Director of Infrastructure, Operations and Finance Dr Iain L’Ange said the University had lobbied national government through the ministries of Water and Sanitation, Higher Education and Economic Development for urgent funding to fast-track upgrades to boost the city’s supply. This was in addition to extensive measures already in place to secure a reliable supply for the campus population. “Based on our experience during the 2013 water outages, Rhodes University could operate for three to five days without the municipal water supply,” L’Ange and Vice Chancellor Dr Sizwe Mabizela said in a joint statement replying to Grocott’s Mail’s queries. “This reckoning is based on personal hygiene, sanitation and logistical considerations. According to a study by the Rhodes Economics Department, the University contributes 60-65% of the total GDP of the area under Makana Municipality. The meeting was convened by councillor Ramie Xonxa, chair of the Makana Water Forum and led by Municipal Manager Moppo Mene. 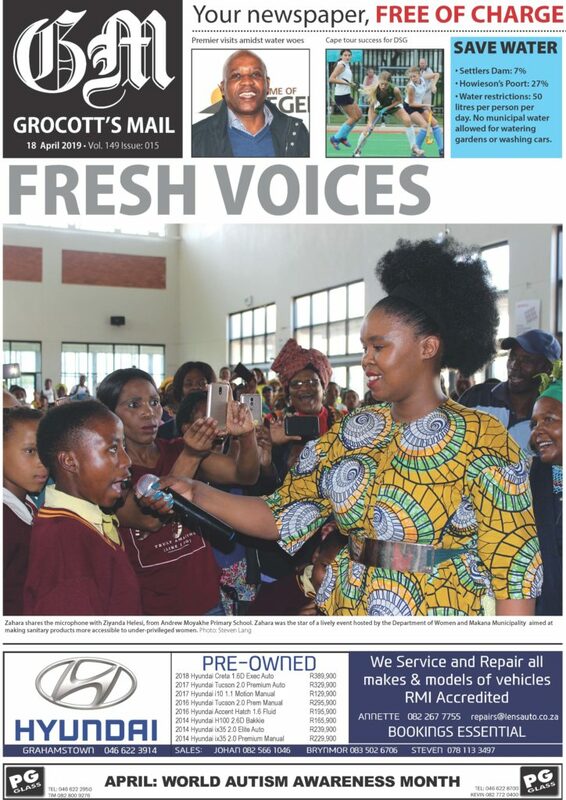 The directors of Local Economic Development and Safety and Community Services, Riana Meiring and Kelello Makgoka were there from the municipal coalface. From the city were the Grahamstown Business Forum, Grahamstown Residents Association, SA National Civic Organisation (Sanco) and the SANDF. Regional representatives from the Department of Water and Sanitation as well as the Municipal Infrastructure Support Agency also contributed. A seven-person task team drawn from those present was given the mandate to co-opt whatever technical, communication and other expertise they required, in addition to the professional services of MBB. 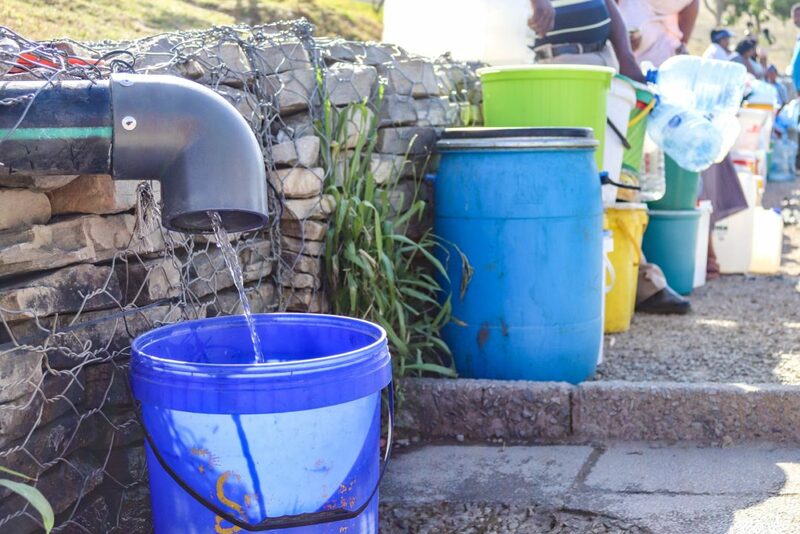 The current total demand for water in Makhanda is 18 megalitres a day. Waainek Water Treatment Works, which supplies areas mostly west of the railway line, treats 8ML a day. The James Kleynhans plant east of the city fill reservoirs at Tantyi and Mayfield, in turn feeding Extensions 1-7, Joza, Vukani, Tantyi, Xolani, Fingo, Mayfield, Transit Camp and some of King’s Heights with treated water. Currently 10ML a day is treated at James Kleynhans which takes in water from the Glen Melville storage dam, fed by the Orange-Fish river scheme. In his opening presentation, Ellis showed photographs of rampant vandalism that is hampering the management of water services, and amounts to thousands of rands in loss and damage. 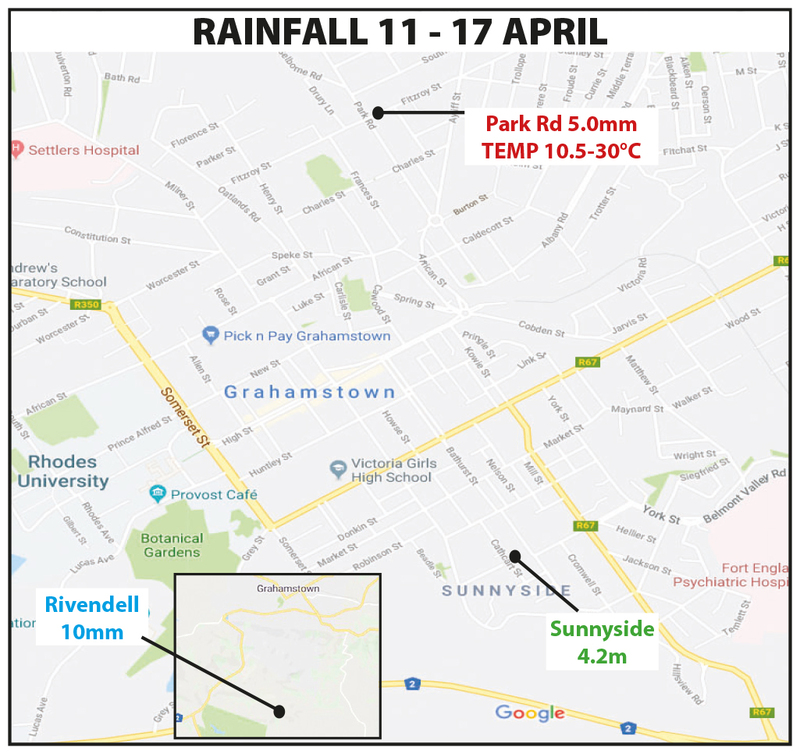 When the water from Settlers and Howieson’s Poort dams is finished or can no longer be pumped, the 10ML currently treated at James Kleynhans will be rationed across the city. Not for the first time, residents across the city have just had a taste of no water supply. Areas served by James Kleynhans have for months experienced daily outages, as maintenance is carried out to improve water quality. More frequent and longer outages have been experienced since December. This is because only one of three pumps at the facility is working. Normally two should be operating together, with one on standby. Two pumps broke down and are being refurbished, with the first due to be reinstalled and pumping on 21 January. On Sunday, a massive pipe leak at the west end of Worcester Street saw the supply to most of the town shut off until 5am Tuesday morning. While the first leak was repaired by late Monday afternoon, a second break was discovered as dusk fell. Local business, the Rat and Parrot, supplied lighting for the team to continue the work through the night and the supply started returning to lower lying areas early on 15 January.